Disagree with the decision not to attempt more yardage. Walsh's 36-yd FG is good to win the game. 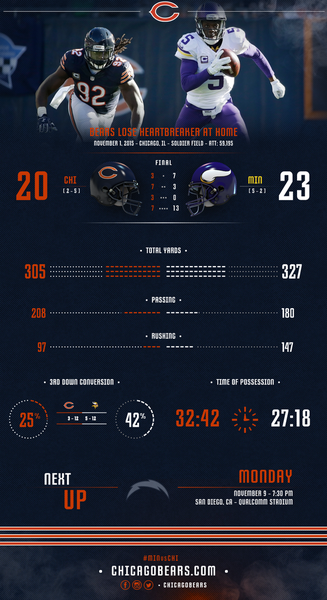 #Bears fall to the Vikings 23-20. OK, #Vikings VentLine is on @1500ESPN . That's it. 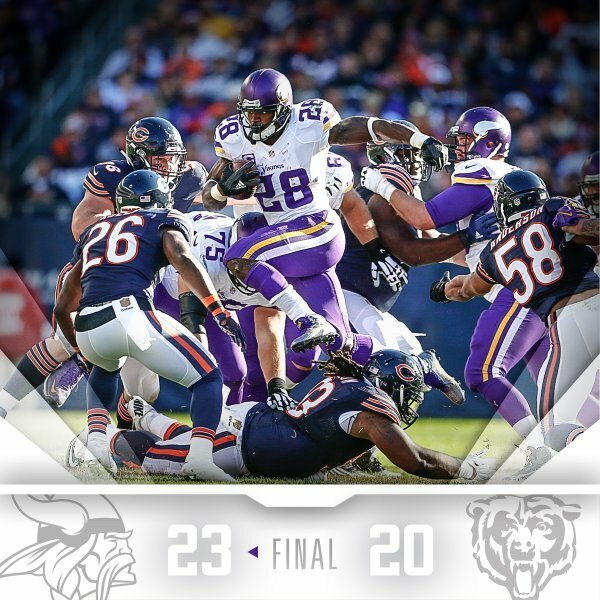 #Vikings win 23-20 off Blair Walsh's 36-yard field goal and the seven-year losing streak at Soldier Field is over. lucky win...VIKINGS WIN!!! WHINE LINE CANCELLED!!! 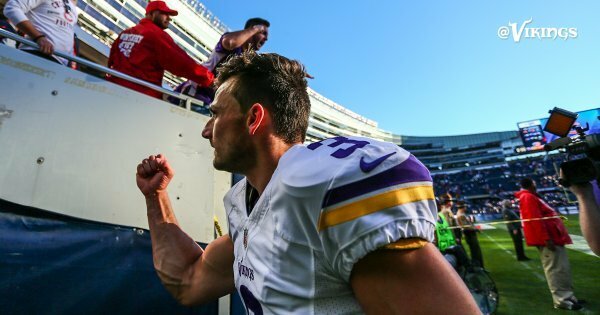 Vikings now 3-0 in a five-game stretch that looked favorable. St. Louis and Oakland left.
.@BlairWalsh3 has made his last 13 FGs. That was his 4th career game-winning FG. Last was 12/1/13 vs. CHI. MIN also won that 23-20 in OT. #Bears Jay Cutler now at the podium following #MINvsCHI . 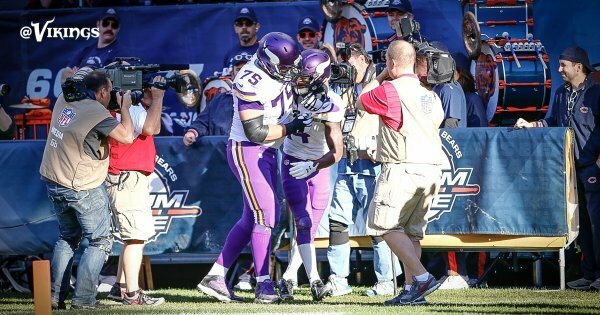 Brian Robison, one of three #Vikings from last win in Chicago: "Hell yeah it weighed on my mind..postponed Halloween plans to get this win." Zimmer said 'Adrian looked like Adrian' today. Said he ran violently, and the line had a better day run blocking, too. Robison, on #Vikings maturing as team: "Everyone was saying last week was a hump win for us, but this is the hump win." Unprompted, Robison praised Stefon Diggs: "You can't say enough about Diggs, from the day he walked in the door" he's been all business. 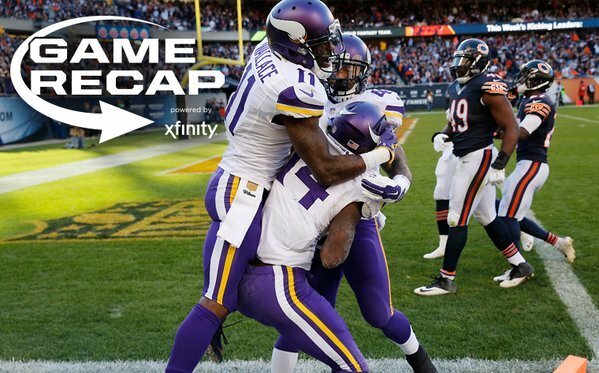 The #Vikings scored 10 points in the final 2 minutes of the come-from-behind win! Mike Wallace said he never saw the ball on the incompletion in the end zone, Sun in his eyes. 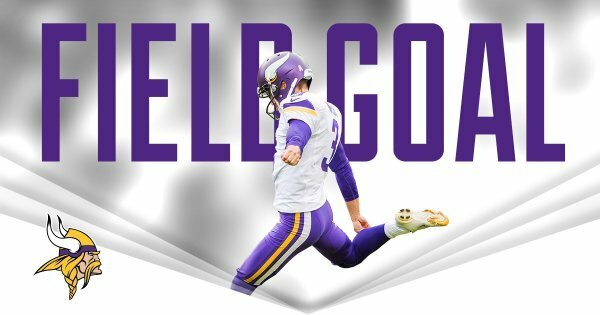 Bridgewater on Charles Johnson's 34-yard catch to set up GW field goal: "Special player, he put his 39-inch vertical to work."
. 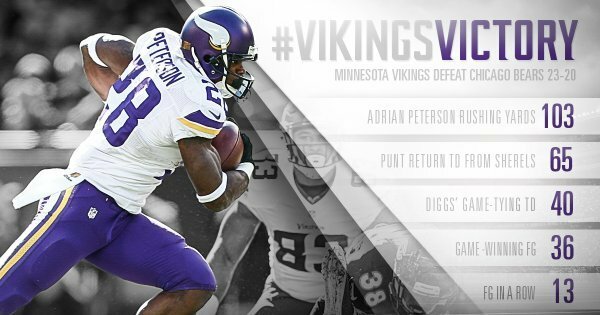 @stefon_diggs 40-yard TD catch stole the show in today's #VikingsVictory ! It was a wild ride capped off by @BlairWalsh3 's walk-off winner. 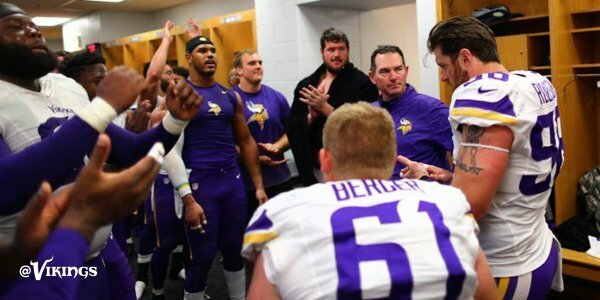 Go inside the winning locker room to hear Coach Zimmer's postgame message. Soon. RT @steaser3435 : @PhilMackey is Vikings vent line posted online ?
. 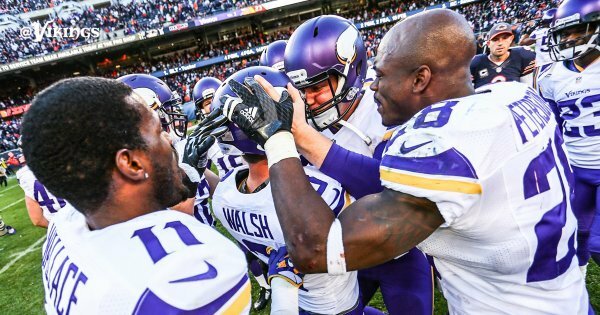 @wobby points at complimentary football as the biggest key to the #VikingsVictory .